My husband takes 1 capsule in the morning and Acetyl L-Carnitine helps him with concentration and memory. 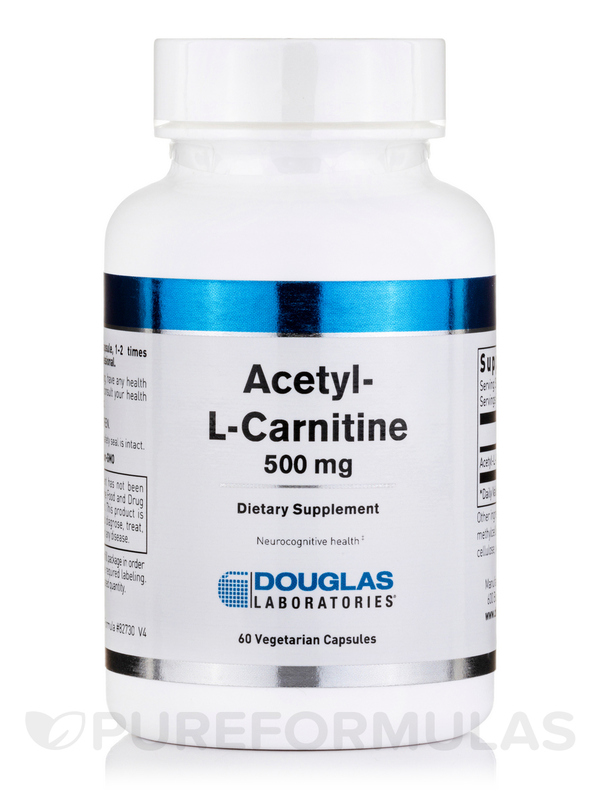 Acetyl L-Carnitine 500 mg by Douglas Laboratories is important for the brain and for energy. I have noticed an increase in energy since I've been taking it. 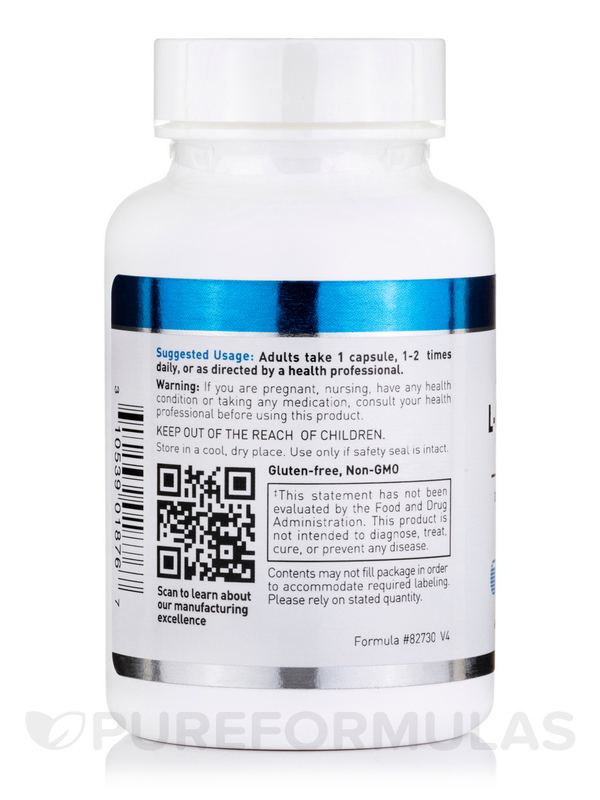 My biomedical doctor recommended Acetyl L-Carnitine 500 mg by Douglas Laboratories and brand and I have been buying it for years for my autism child who is 12 years old. If you don't eat enough red meat‚ eggs‚ and fish‚ your body may not be receiving a sufficient amount of acetyl L-carnitine. Acetyl L-carnitine is an amino acid necessary for cell metabolism. This particular amino acid transports fatty acids so that they can be used for energy. When your body doesn't have enough acetyl L-carnitine‚ you'll exhibit symptoms like these: muscle weakness‚ fatigue‚ and confusion. Your body also needs acetyl L-carnitine for healthy muscle movement and heart function. A deficiency can lead to serious side effects. Although this amino acid is needed by your body to produce energy‚ it also provides you with cognitive benefits. For instance‚ if you’re suffering from minor memory loss due to age or poor circulation to your brain‚ acetyl L-carnitine can help. Most importantly‚ a constant lack of energy may mean that you lack this nutrient. While drinking coffee will keep you energized‚ you can eventually become immune to it; not to mention the jitters from drinking too much! However‚ you can boost your body's energy naturally by trying a supplement like Douglas Laboratories’ Acetyl L-carnitine. 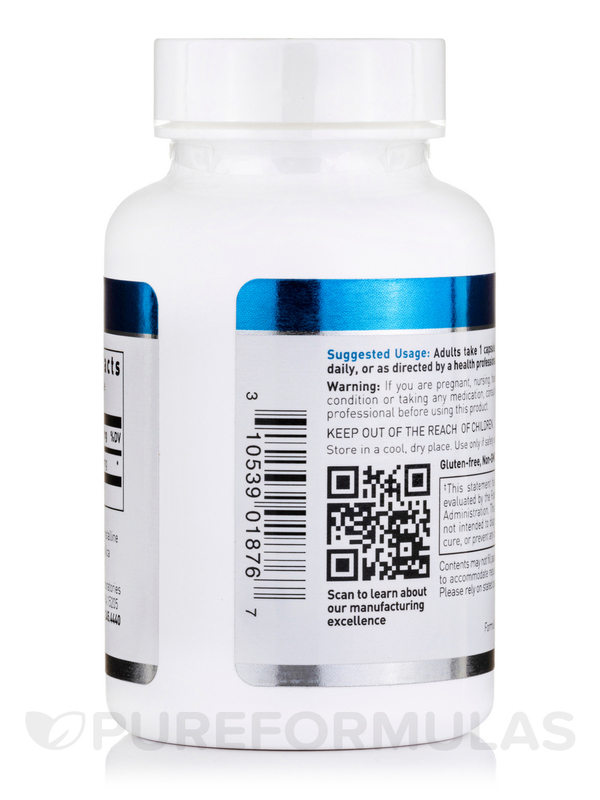 Each capsule provides 500 mg to give you the aforementioned benefits‚ in addition to help working against mild depression‚ nerve pain‚ and minor issues related to fertility in men. 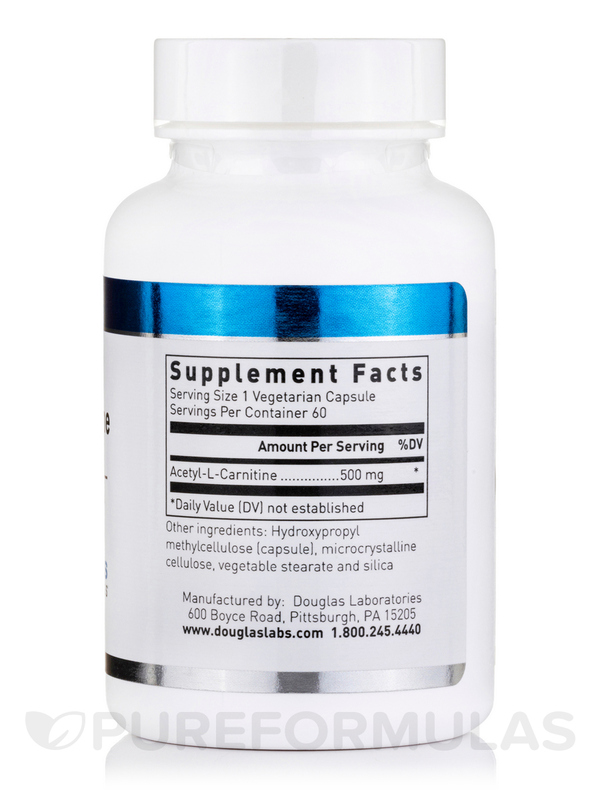 The recommended dosage of Acetyl L-carnitine by Douglas Labs is one capsule per day. This means that a 60-capsule bottle should last you two months. 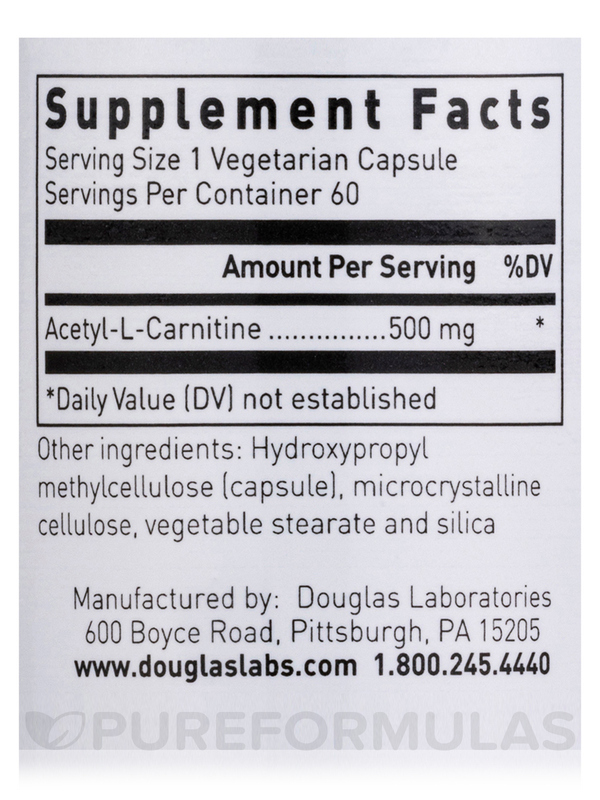 Acetyl L-Carnitine 500 mg by Douglas Laboratories makes me alert from the moment I take it. I like how it has helped to increase my energy. This is a quality product and a quality brand.